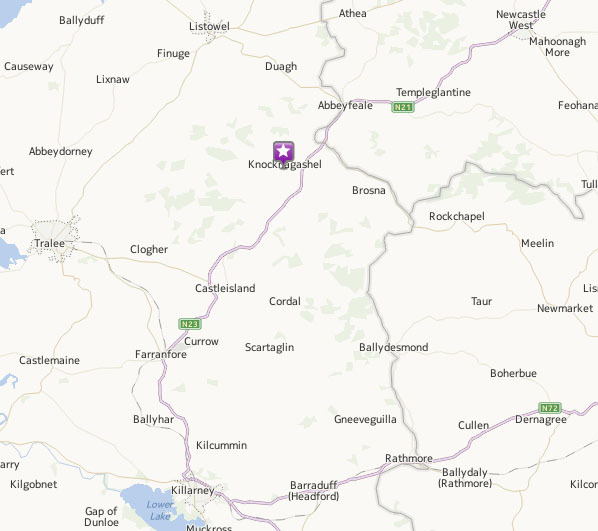 Knocknagoshel is located off the main N21 road between the towns of Abbeyfeale, Co. Limerick & Castleisland, Co. Kerry. When you exit the N21 follow the signposts to the village of Knocknagoshel, where you will be directed to the car parking.